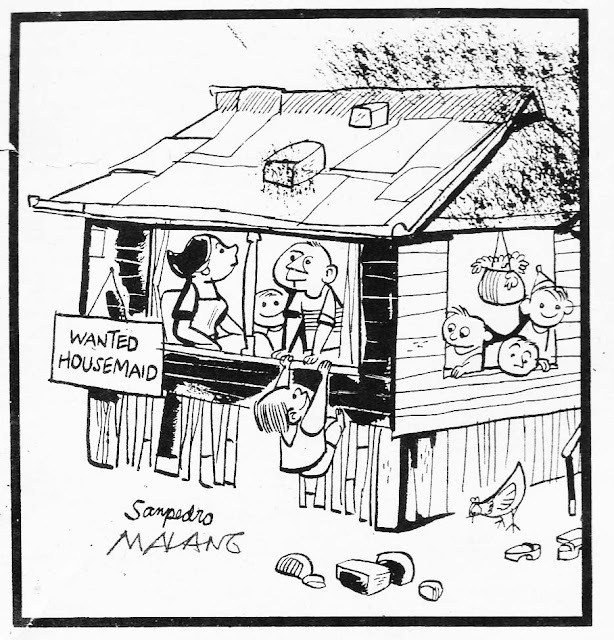 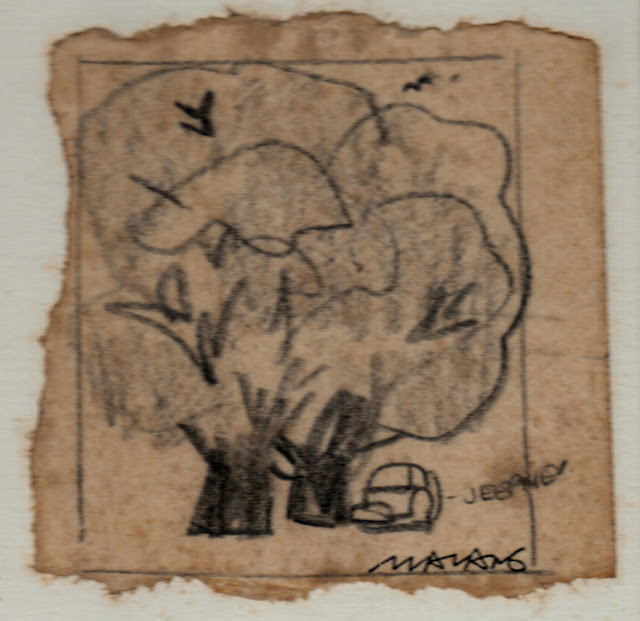 This blog covers only Cartoons and Illustration strips Malang made from 1947 to 1967, includes: “Labuyo,” a serial published in Sinagtala 1947; Established "Bituin Komiks", Bughouse Comics with Gat; Created “Kosme the Cop,” the adventures of a city policeman; “Kosme the Cop [Retired],” about the henpecked husband who gets into all sorts of scrapes; “Chain Gang Charlie,” the convict who has a thousand and one uses for his ball and chain; and “Beelzebub,” the devil whose tail an indispensable accessory. 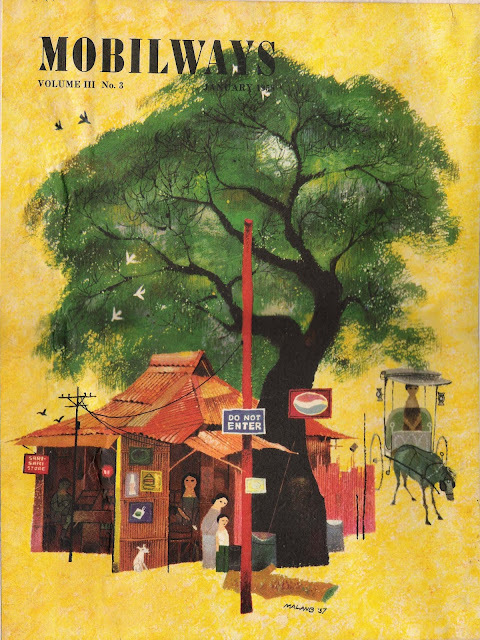 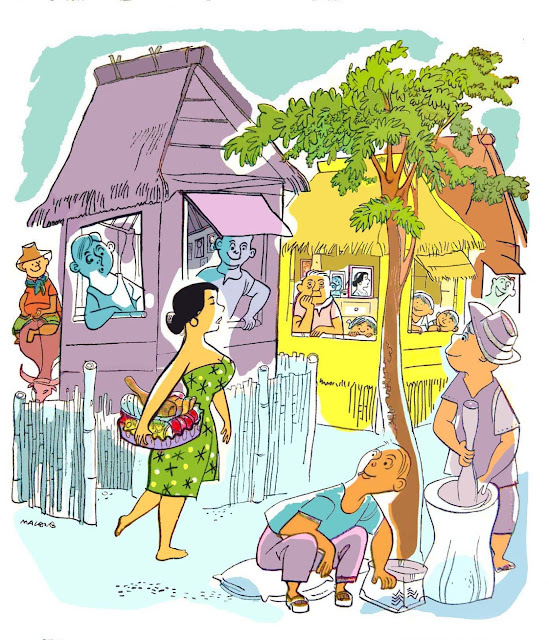 There are also samples of “Malang’s menagerie,“ a one-page wordless “villagescape” series that appeared in the Weekly Graphic. In all these works, Malang demonstrated his innate sense of humor and a remarkable knack for the sight gag.